Which Cars Have the Most Expensive Insurance? 2018 List of Most Expensive Cars to Insure: Is Yours One of These? 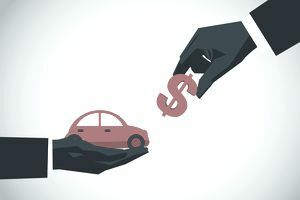 When you're shopping around for a car, you might think that the budget for your car insurance premium will be relative to the price of the car, but the price of a car isn't always a good indicator on the cost of car insurance. There are all kinds of lists you can look at, but as you will see by the end of our article, the best way to find affordable insurance is really to use your personal information and insurance credit scoring to get the best price. We've got the most recent list of the most expensive cars to insure, and some of the cars on this list just may surprise you, we'll also explain why. Do Cheaper Cars Cost Less in Insurance? An affordable car purchase doesn't always mean affordable insurance. The Insurance Institute for Highway Safety Highway Loss Data Institute (IIHS HLDI) collects data on claims payments, crash data, safety ratings and other important information about driving habits, accident causes and distracted driving statistics. One of the things this data is used for is to look at the cost of car insurance and frequency of claims and claims payouts for car parts or damages on different cars. 24/7 Wallstreet used this data to come up with the most expensive cars to insure in 2018, but there could be correlations between the costs of insurance and the profile of driver who normally purchase these cars. These are the cars that made the list of the cars that will cost the most on insurance based on current (IIHS HLDI) statistics. The average cost of car insurance for half of the cars in the 25 most expensive cars to insure based on 24/7 Wallstreet's information range between $1150 and $1200 per year. Cheaper cars don't always mean cheap car insurance, but they may indicate profiles of the average driver for these cars as well, as we explain below. What Factors Makes Some Expensive Cars Have Better Insurance Pricing? Depending on the source of information, and how data is calculated, there are going to be high variations in which cars make different lists. So these lists should be taken as indicators, but ultimately pricing cars using your personal information will give you the best estimates. A great example in seeing how personal information, your choice of insurance company and even your location can impact the cost of insurance can be found when you look at the list of least expensive cars to insure, and Insure.com's most expensive car list and compare it to the list above. Insure.com uses data from six insurance companies in 10 zip codes per state but are based on a 40-year-old male profile. This significantly impacts the rates being used to make a list. As a result, the cars on the lists change. The list above using data from IIHS HLDI's accidents, claims payouts, crash testing and average premiums across the USA and is also not isolated to a specific age but rather on actual claims data. For example: the Land Rover Range Rover Sport 4D 4WD is probably not being driven on average by a 19-year-old as primary driver across the country, it is probably being driven by someone with age discounts, professional discounts, strong insurance credit scoring and possibly more driving experience because it isn't the kind of car most people get as their first car, or when they are students. So using actual data from the Institute would account for this. However, if you take Nissan or Kia, there is likely more diversity in the profile of driver and this could be part of what puts both these cars in the same price range of insurance in the list above. The price of insurance for you on these two cars, may not be the same at all, even though they are almost the same in the list. The Best Way to Find Out The Most Expensive Car to Insure? Come up with your wish list of cars. Get a quote keeping all your personal information the same. Switch up the car models and compare. Repeat with different insurance companies because one company may be better suited to your profile than another, and these companies will give you a better price on insurance. This way you are will get the real picture of your expected cost, and its the best way to work on your car insurance budget and not end up with unexpected surprises.